You are here: Home / Holiday / Merry Christmas! Wesołych Świąt! A very Merry Christmas to all who are celebrating today! Many Pittsburghers are celebrating the traditional feast of the Epiphany or Three Kings Day on January 6 and January 7 is Orthodox Christmas Day, also known as Russian Christmas or Serbian Christmas. Due to the cold and the fact I have a cold, I didn’t make it out to a Christmas Eve service this year. The Trib’s Christina Sheleheda writes about her experience celebrating Orthodox Christmas. I wrote a guide to Pittsburgh Orthodox Christmas services in 2016, I have not updated the post for 2018, but the list includes links to most of the Orthodox churches in the Pittsburgh area. If you are celebrating today, what are your Pittsburgh Orthodox traditions? 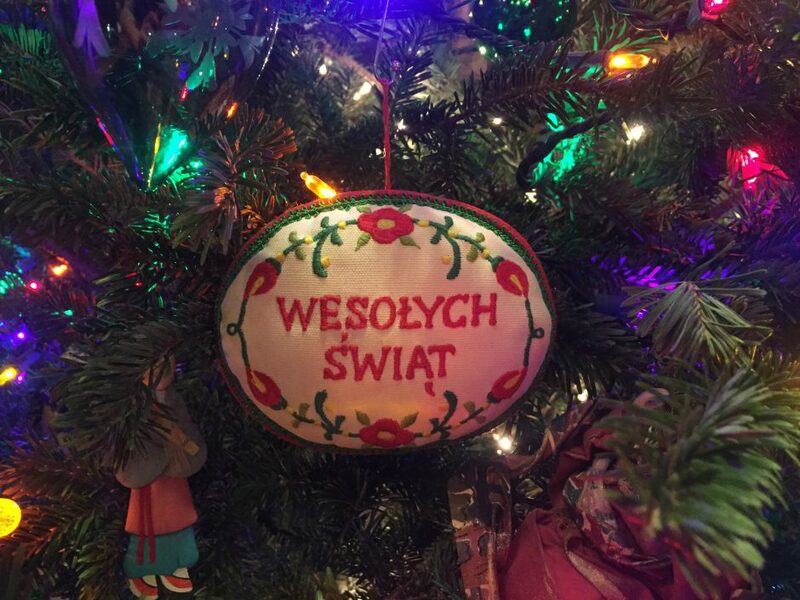 I believe that Wesołych Świąt is Polish for Merry Christmas. Although there is a blog post over on the DuoLingo blog that says this term can be used for Easter and Christmas. If I am wrong, please leave a comment with the correct translation. The ornament pictured above has been hanging on the Christmas tree at both my mom’s and my aunt’s house for as long as I can remember. No one can remember where these ornaments came from. Does anyone else have this ornament hanging on their tree? Filed Under: Holiday Tagged With: Christmas, Orthodox Christmas, Russian Christmas, Three Kings Day, Wesołych Świąt!